Biogen has insisted that it will continue to make “big bets” on novel drugs – and early trial results for its aducanumab suggest it may be on the right track. Earlier this year, global biosimilars head Alpna Seth said the company would continue to develop new drugs, even though near-copies of rivals’ biologics are also important to its business. Neurimmune, Biogen’s development partner following a development and licence agreement back in 2007, said that in the phase 1b PRIME clinical trial, aducanumab removed plaques from the brains of patients with early-stage Alzheimer’s disease. Plaque reductions occurred in both a dose and a time-dependent manner, in peer-reviewed results confirming interim findings announced last year. Results published in the journal, Nature, showed that after one year, the level of amyloid plaques, visualised using positron emission tomography, were substantially reduced. There was evidence that aducanumab slowed cognitive decline in these patients. If confirmed by future trials, results provide compelling support for the hypothesis that amyloid build-up is a key factor in driving cognitive decline in Alzheimer’s disease. The companies are conducting two large-scale phase 3 clinical trials of aducanumab, ENGAGE and EMERGE, which are under way at more than 300 study sites across 20 countries in North America, Europe and Asia. The trials will assess safety and efficacy of the drug in around 2,700 people with early Alzheimer’s disease. However, Biogen must wait until February 2020 for the first results of the trials, in a disease area that is littered with failures. In 2012-13 a trio of Alzheimer’s drugs failed to produce conclusive results. Elan/Pfizer’s bapineuzumab failed in a late stage trial and was abandoned, and Baxter gave up on developing immunoglobulin in Alzheimer’s following a similar failure. 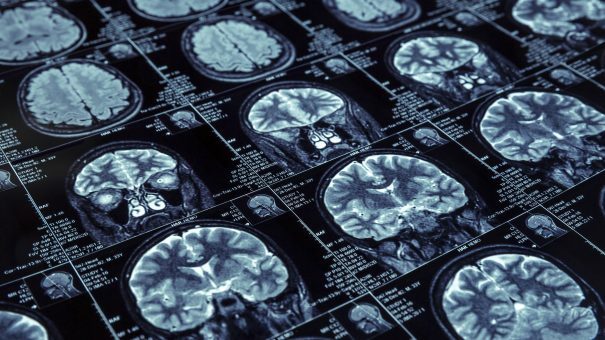 Although Lilly’s solanezumab also failed to produce statistically significant results, the company continued development in mild Alzheimer’s after spotting a trend in the data. However, in a concerning move in March, Lilly announced it had changed the endpoint of the EXPEDITION trial, to a single endpoint of cognition, abandoning a function endpoint. Aducanumab has also had its share of setbacks, failing in a mid-stage trial last year. Biogen, which is looking for a new CEO following July’s announcement that George Scangos is to step down, has already invested $1.5 billion in a new manufacturing facility should the gamble on aducanumab pay off.